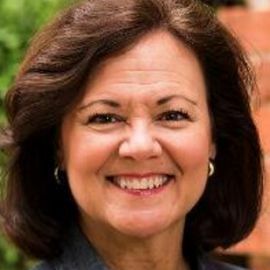 Christian Speaker & Teacher; Author of "Content to Be Good – Called to Be Godly"
Janet Croswhite Denison grew up in California and moved to Texas during her college years. She is a graduate of Houston Baptist University where she majored in Elementary Education and English. Janet met her husband, Jim, at HBU and they married in 1980. They have two sons, Ryan and Craig. Ryan married Candice Williams in June of 2011 and their daughter, Axia Jane, joined the family in January of 2014. Ryan and Candice live in Tyler, Texas where Ryan is pursuing a PhD in church history with the B.H. Carroll Theological Institute, and Candice is a dentist at Bullard Family Dental. Craig married Rachel Chapman in June of 2012. They both work for the Denison Forum. Craig is the author of First15 and the Director of Spiritual Formation and Media and Rachel is the Administrative and Marketing Coordinator for Spiritual Formation. Craig and Rachel also serve the Antioch Community Church in Dallas as worship pastors. Jim and Janet have been privileged to pastor four churches, New Hope Baptist Church in Mansfield, Texas; First Baptist Church Midland, Texas; Second-Ponce de Leon Baptist Church in Atlanta, Georgia; and Park Cities Baptist Church in Dallas, Texas. Jim is now the Founder and President of the Denison Forum on Truth and Culture and Janet is the Director of Spiritual Formation for that ministry. The Denison Forum exists to address cultural issues with moral and biblical truth. The goal is to equip the Church, nationally and internationally, with biblical resource and perspective so they will be "prepared to give an answer" (1 Peter 3:15). Janet is the author of Content to Be Good – Called to Be Godly, a book/Bible study that encourages Christians to work towards a higher standard for their spiritual lives. She has written her first children's book, Felix Navidad, which is a Christmas story written to remind children of the true meaning of the season. Janet is a popular speaker for church and community events, and a respected Bible teacher. Jim and Janet live in Dallas, Texas and enjoy spending time with family, friends and one another. "It is my great joy and privilege to teach God's word and help others apply that truth to their lives. I often say the goal of every Christian should be to live a life God is able to bless." Janet's passion is to share that goal with others, hoping they will gain a greater knowledge of Jesus as their Lord and Savior. Janet Lorin news, political analysis, commentary, long-form features, polling, original video, ... Denison Hires Alternative Assets Specialist for Endowment. Author of "She Reads Truth"